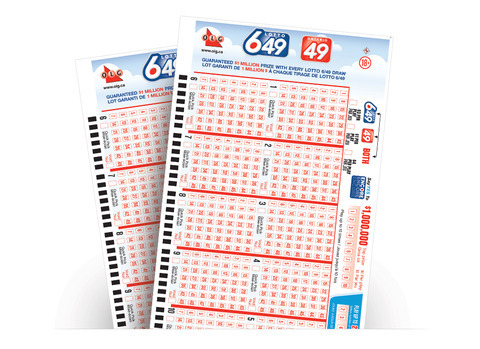 Lotto 6/49 is one of Canada’s biggest lotteries. With prizes that can reach astronomical heights upwards of CA $60 million and great odds as far as national lotteries go, there is little surprise why Lotto 6/49 is as popular as it is. Over the decades it’s been around for, it’s made countless people richer—with many of them becoming millionaires in the process. For these reasons and several others that we'll explore below, we believe it's one of the best lotteries in the world. On June 12, 1982, the 6/49 lottery was officially launched. Its claim to fame was that for the first time in Canadian lottery history participants could choose their own numbers. All previous lottery tickets were sold with pre-selected numbers, meaning players had no input. That kind of limitation might seem pretty strange nowadays, especially to the swarms of people who regularly play their “lucky numbers,” but lottery gameplay mechanics tend to change and evolve over time just like anything else. Fortunately, this set a new precedent and quickly became the model that all other Canadian lotteries began following. The Interprovincial Lottery Corporation, owned by the five Canadian provincial lottery commissions, is responsible for managing Lotto 6/49. It also manages Canada’s other major lottery, Lotto Max. As the name of this lottery suggests, players choose six primary numbers between 1 and 49 and one bonus number. Anyone who matches all six numbers will share in the jackpot prize. The jackpot starts at CA $5 million and can keep growing drastically over a series of rollovers until it is eventually won by one or multiple lucky winners. At every draw, CA $1 million is also given away to the one person who has the winning million-dollar ticket, which is issued with the regular lottery ticket. The price for one line when purchasing an official 6/49 entry ticket within Canada is CA $3. The lottery pays an amount between CA $100,000 to $500,000 to any player who matches five numbers and a bonus. Up to three matches or two matches and a bonus also receive prizes at each draw. Every match of two receives a free ticket to the next lottery. Players who buy a ticket receive two sets of numbers: one is for the jackpot prize, and the other is for the guaranteed $1-million raffle prize. If no one wins the grand prize, the jackpot increases for the next draw. When you compare Lotto 6/49 lottery to massive world-renowned lotteries like the US Powerball, Mega Millions, and Italy’s SuperEnalotto, you’ll see that the chances of winning 6/49 are much, much better. Specifically, the odds of winning the Lotto 6/49 jackpot are 1 in 13,983,816, while the odds of winning the US Powerball are 1 in 292,201,338, Mega Millions 1 in 302,575,350, and SuperEnaLotto an outrageous 1 in 622,614,630. Sure, all of these other lotteries’ grand prizes can sometimes be exponentially bigger than those of Lotto 6/49, but does anyone really need hundreds of millions of dollars? Wouldn’t several dozen million suffice? What’s more, the odds of winning a prize in the 6/49 lottery are almost twice as good as those of Canada Lotto Max, and the odds of winning any prize are approximately 1 in 6.6—which are pretty fantastic. Although the lowest-tier prize is just a free play for the next draw and really only helps you break even, it’s still a far cry from the much more difficult odds of many other countries’ national lotteries. For all the chances of winning Lotto 6/49, see the table below. The odds of winning the guaranteed $1,000,000 raffle prize are based on the total volume of lottery tickets that were purchased and issued, so the odds vary from draw to draw. This means that the chances of winning the $1-million prize will be higher when the primary 6/49 jackpot is a smaller amount, as more people tend to play when the jackpots reach truly impressive levels. The 6/49 lottery draw takes place twice weekly on Wednesdays and Saturdays. The draw takes place directly after purchase cut-off, which is 10:00 pm EST, at a discrete location in Toronto, Ontario. The numbers are randomly drawn by a Smartplay Halogen II ball machine. More recently, however, the lottery paid out $30 million on April 25, 2018. This windfall is worth mentioning because for the first time in the history of Lotto 6/49 a jackpot winner was allowed to remain anonymous. Normally, lottery jackpot winners must agree to making their full names, photographs, residences, and prizes public. The exception to this rule is when the person might be in danger as a result of doing so, which is what may have happened here. The 6/49 lotto pays out all winnings, including jackpots, as single lump-sum cash payments. There is no annuity option open to winners. Unlike quite a few other countries, Canada does not tax lottery winnings. In other words, you'll actually receive every last penny that you won. However, if you live abroad, your own country's taxes may come into effect once you try to transfer your winnings back into your bank account. If you're not sure whether your country taxes lottery winnings, we suggest you do some research into this. If you live outside of Canada but would still like to give Lotto 6/49 a try, there are several options available to you. The most economical and convenient option is going through one of the top online lottery websites. These websites are either lottery ticket concierges or lotto betting sites, but both types tend to offer great features, enticing welcome offers for new customers, and access to the best lotteries on the planet, including 6/49. Canada Lotto 6/49 – Is It Worth Playing? In our opinion, the 6/49 is definitely worth playing. Although its jackpot payouts aren’t the biggest in the world, they are still fantastic overall and could easily set you and your family up for life. On top of that, the odds are notably better than many other international lotteries, and the price of an entry ticket, being in Canadian dollars, is the cherry on top. 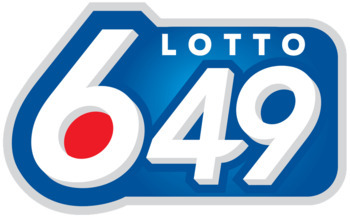 As a result, Lotto 6/49 is one of our favourite lotteries. Interesting review. I live in Florida and usually just play Powerball and Mega Millions, but I've heard good things about Canada's big lotteries too. Didn't realize the odds of winning were so much better!